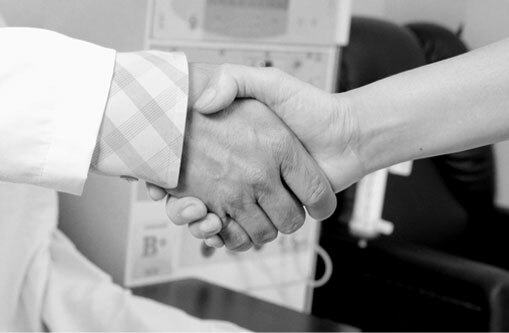 Nephro Synergies offers several partnership options for hospitals. Provide Nephro Synergies with the space for the dialysis clinic and we’ll equip, staff and secure all the necessary permits. This way, the hospital is free to focus on their day-to-day operations, while the dialysis clinic focuses on the care and needs of renal patients. Through the Outright Lease of Hospital Premises the hospital will be the landlord of Nephro Synergies. By availing of this option, hospitals are assured of fixed and definite revenue from the Dialysis Unit. This also means that there will be increased patient census due to patient co-morbidities. Patient and companion familiarity with the hospital translates to it becoming the health provider of choice for them. We recognize that certain hospitals would prefer to run the dialysis clinics internally, as such, we also offer a scheme wherein we will provide the machines + dialysates + technical support hospitals can staff and operate the clinic themselves. The clinic thus operates as a department of the hospital, staffed by internal personnel. 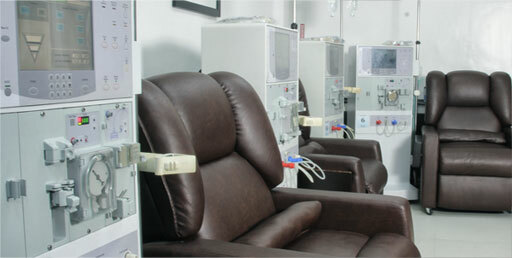 Having an on-premise dialysis center will serve both the hospital and the patient. But we also recognize that it can also have a serious impact on operating costs and staffing issues. A partnership with Nephro Synergies can address all these issues. We will provide the equipment, train the staff, and oversee the day-to-day operations. This way, hospitals are able to provide this necessary service while doing away with the complications of operations. And once again, the patients needs and health is given the proper care and expert attention. So that at the of the day, it is all about putting patients first. Copyright 2013. nephro synergies. powered by webready.